Painstakingly handcrafted down to the last detail, this piece has a powerful presence typical of much higher cost custom made collectibles. Influenced by Japanese sword arts and culture, the hand carved handle and guard are designed to mimic the style of Buddhist temples found in Japan. The Damascus steel blade features a defined edge and tanto point. An uncommon touch, the guard is also crafted from Damascus steel to match the blade, and is lined with hand done filework. Includes a protective leather sheath with snap closure. Measurements: 26 1/4 in. blade, 32 5/8 in. overall. 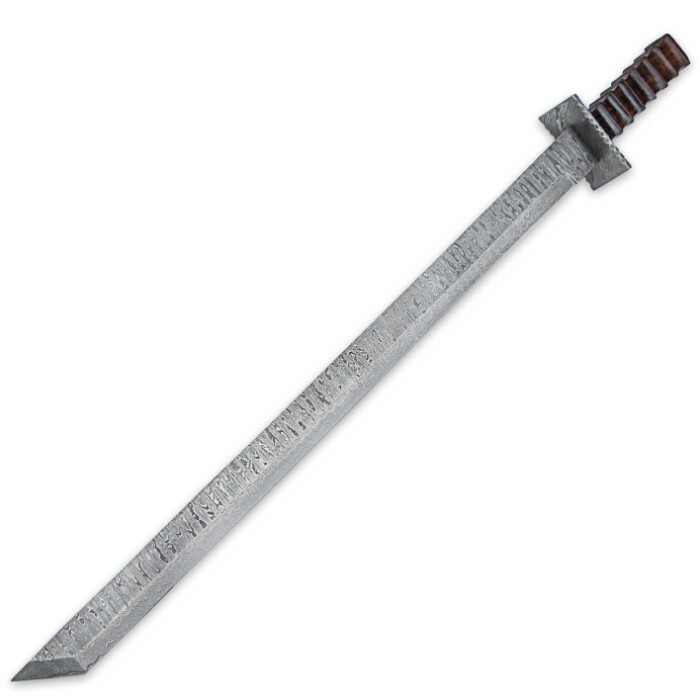 okay my wife just got me this sword and I received it yesterday the blade is beautiful razor sharp the handle although it looks uncomfortable actually has a very good feel your fingers just mold into it I definitely give this 5 stars this is absolutely awesome part to my collection. 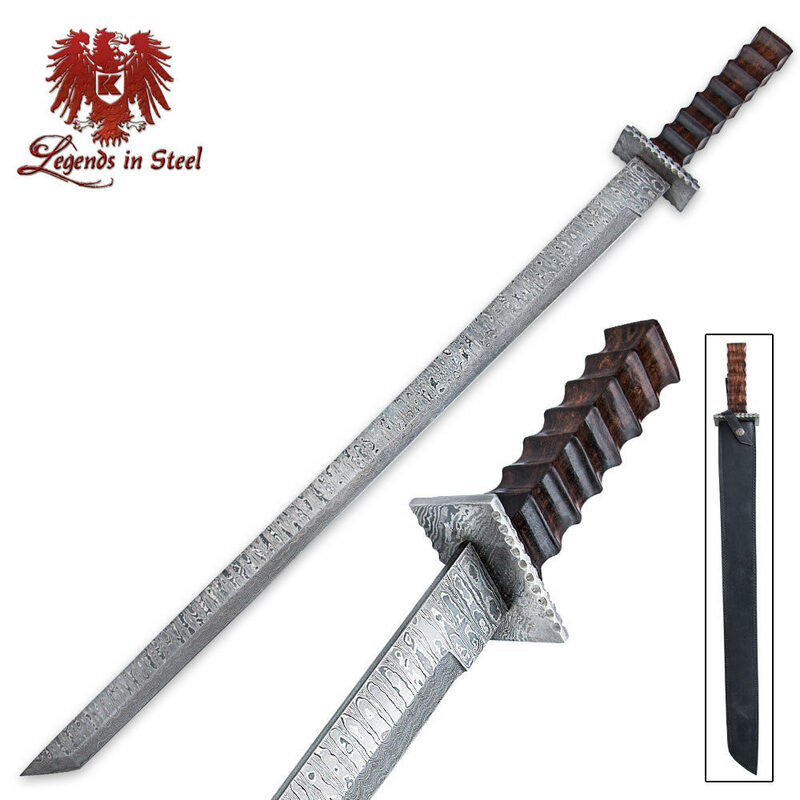 The blade is absolutely beautiful but the hilt looks very uncomfortable.